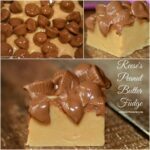 This peanut butter cup fudge is so fudgy, so rich, so perfect! 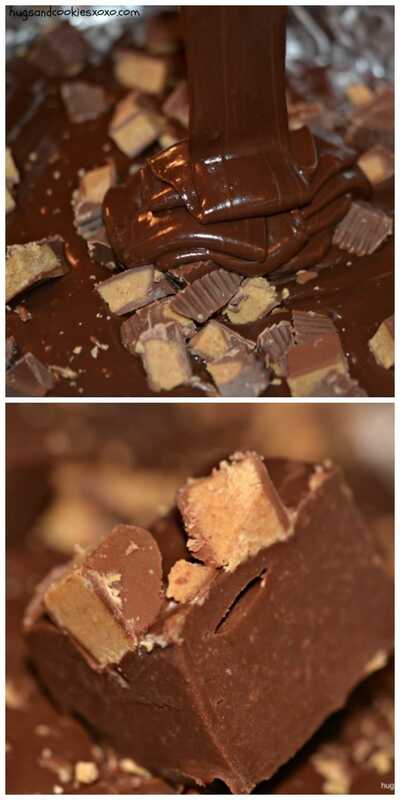 Make sure you freeze the peanut butter cups for hours before you start the recipe. If you don’t, you run the risk of the candies melting right into the fudge. Hmm, not sure that’s such a bad thing. hee hee! 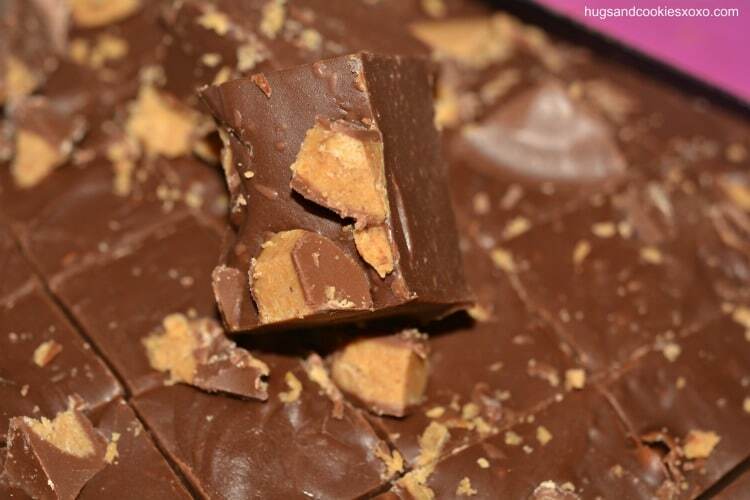 But I was going for more of a coarse peanut butter cup running through my fudge! Keep your chunks nice and coarse too when you get to the chopping. 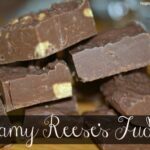 This fudge will take hours to set up but it is worth the wait. 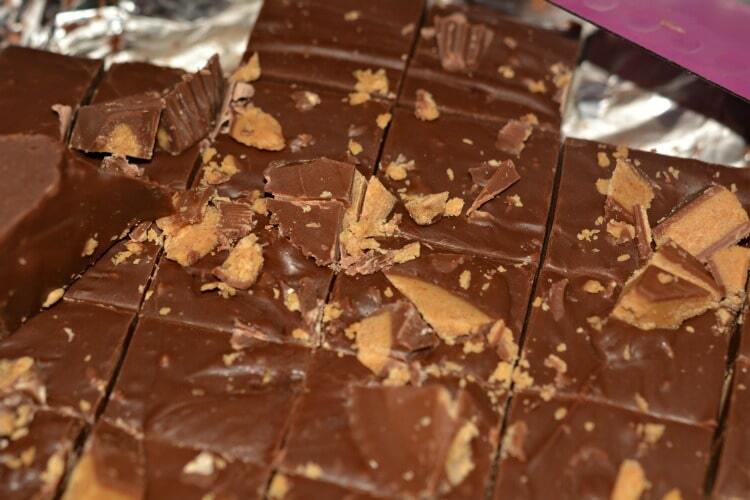 It is rich so you can cut tiny pieces that your friends can savor! 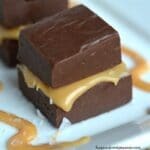 6 peanut butter cups, coarsely chopped (use more or less depending on personal preference) It is mandatory you freeze them prior to making the fudge so they do not just melt in! 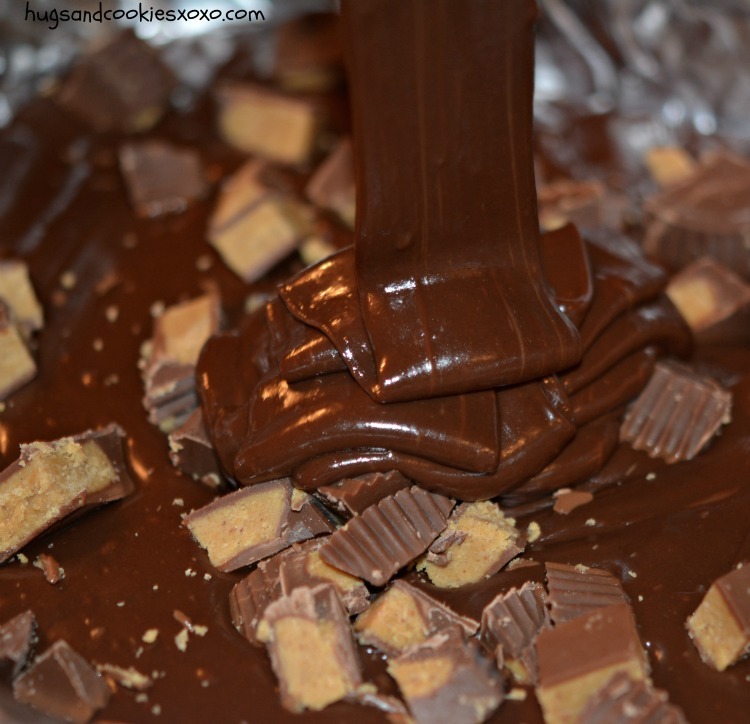 Add the frozen peanut butter cups and immediately pour in. Pop in freezer 10 minutes and then move to the fridge for several hours. 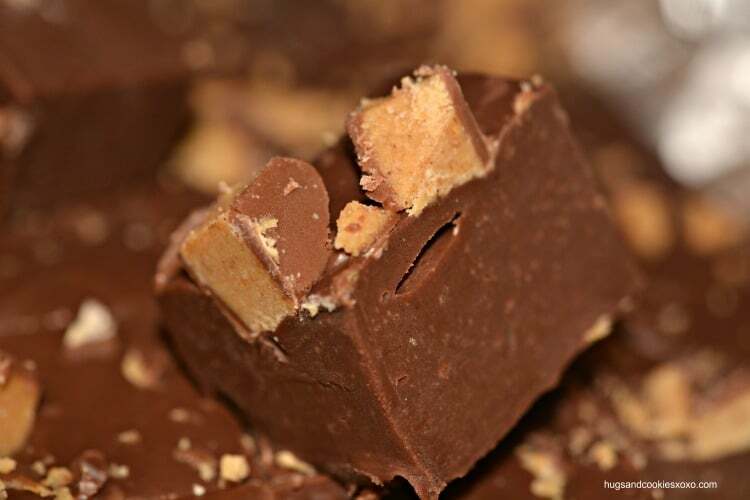 your Peanut Butter Cup Fudge is simple to make. I like except number 4 you add frozen peanut butter cups and immediately pour into what? 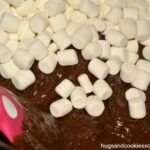 I poured into melted mixture and then into prepared pan to freeze, is this the way to go?